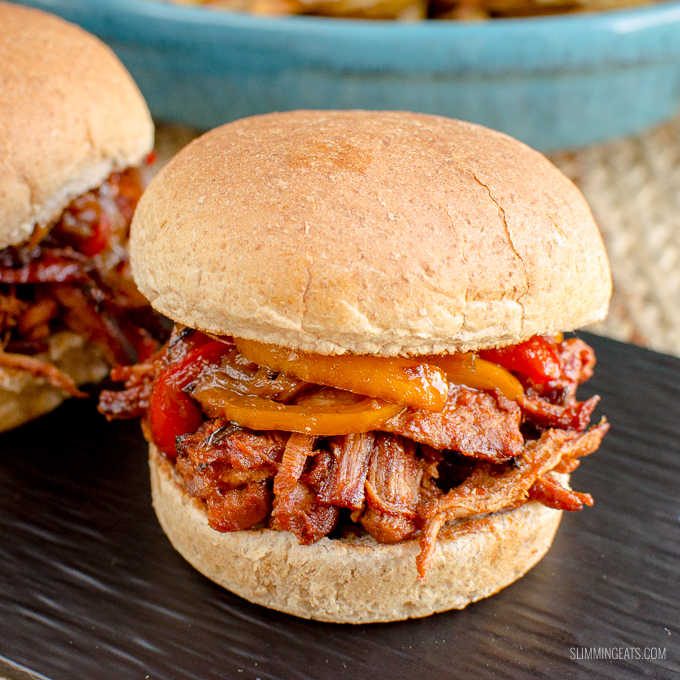 Delicious tender caramelized bbq Slow Cooker Pulled Pork Sandwich – a perfect family meal!! I love a Pulled Pork sandwich, but it can be time-consuming to cook, so I decided to create a slow cooker pulled pork version. That way, I can leave the pork to prepare while I get on with other things. Using the slow cooker has other benefits too, as it makes the meat so tender and juicy and it literally falls apart when you go to shred it with two forks, kinda how pulled pork gets the name of course – the pulling apart of the meat to shred it. Obviously, the sauce in a Pulled Pork sandwich is super important, get that wrong and it’s just not going to hit the spot. So my sauce is just the right combination of smoky and sweet. 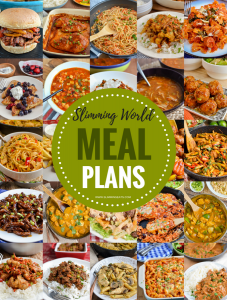 I know it is tempting to use a sweetener or similar to try and keep a recipe syn free, but trust me when I say you just won’t get the same result. For the sake of a few syns for the maple syrup in my sauce recipe, it is totally worth it, and when you divide up into portions, it’s hardly any syns at all. 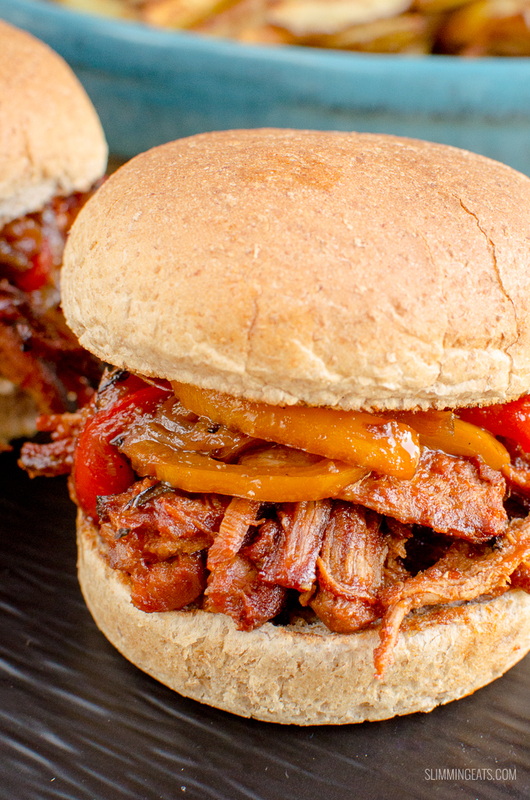 To go alongside the delicious pulled pork, I also sauté up some peppers and onion, it goes perfectly as a topping in these Slow Cooker Pulled Pork Sandwiches. Once the pulled pork is out of the slow cooker shredded and mixed with the sauce, I also like to put it under the grill for a few minutes, it just gave the meat a lovely caramelization on top. This is optional, but seriously it’s much better like this. Being originally from the UK, Pulled Pork wasn’t really on my radar, it’s not a well-known dish, or certainly wasn’t when we lived there. The first time we tried it was when we took a trip down south to Kentucky. I was so surprised how good it tasted as it’s not a recipe that looks particularly visually appealing when served to you. Many smokehouses, will serve the pulled pork plain with no barbecue sauce mixed in, that might seem odd, but it can actually be the best way really, as you can then really appreciate the seasoning they use, which can vary greatly depending on what part of the USA you are in. They also can use different ways of smoking the meat, that gives it that amazing flavour. Then on the table where they serve your food, comes a whole variety of different barbecue sauces to choose from, that way you can enjoy the pulled pork with the type of barbecue sauce you prefer – some of the main varieties I have seen are sweet and smokey (my fav and the style I use in this recipe), then there is original, mustard style – generally called Carolina, spicy and then the really really spicy one, which is usually kept off the table and only available on request, you seriously don’t want to add that to your plate by mistake. All just examples based on the smokehouse I have been to, there can be many many more varieties of barbecue sauce and just like with the seasoning and smoking of the meat, the type of popular BBQ sauce can depend on which state you are in. That is usually if you order just pulled pork, if you go for a Pulled Pork sandwich or similar, then it will usually come with a barbecue sauce mixed into the meat. The type is usually given on the menu. 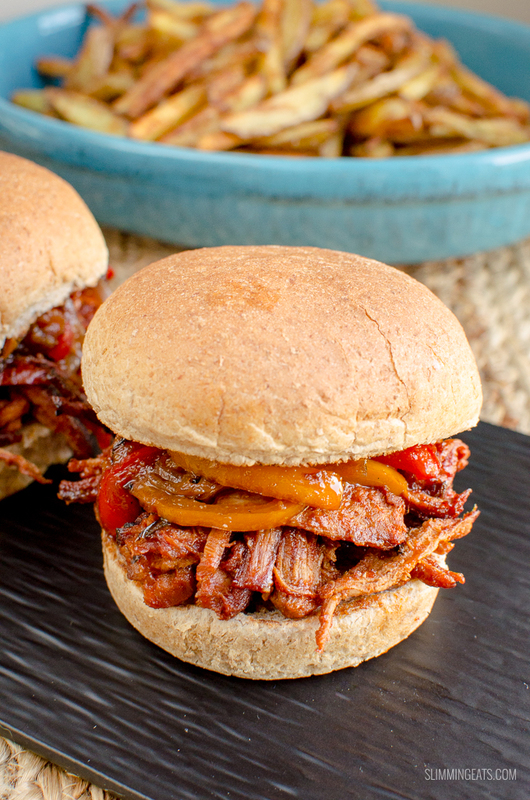 Most Pulled Pork sandwiches I have tried have always been with a sweet and smokey sauce – yum!! I’m sure a lot of people who have never tried Pulled Pork before would take a look at and think “that’s not for me”, but it’s something that has to be tried. I’ve never come across someone who did try it and say they didn’t like it. It’s a pretty unique recipe that’s for sure, but one which is oh so good. So many different ways to serve it too. 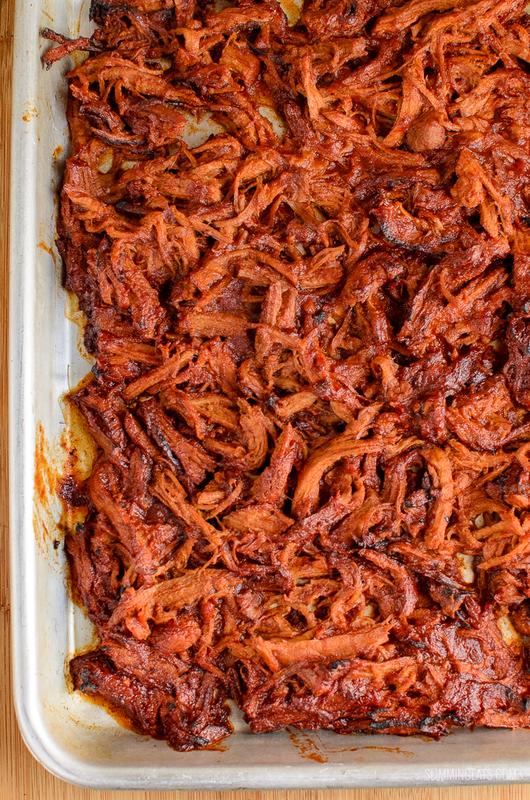 For the smokey flavour in this Slow Cooker Pulled Pork, I use some liquid smoke (a slight cheats version of course), this might be hard to source for some, so if you can’t get hold of any, just use some smoked paprika, which will give a similar smokey flavour. If all you know of is a pulled pork sandwich, then my are you missing out, as literally every type of food you can think of can come pulled pork style. It’s slightly crazy. 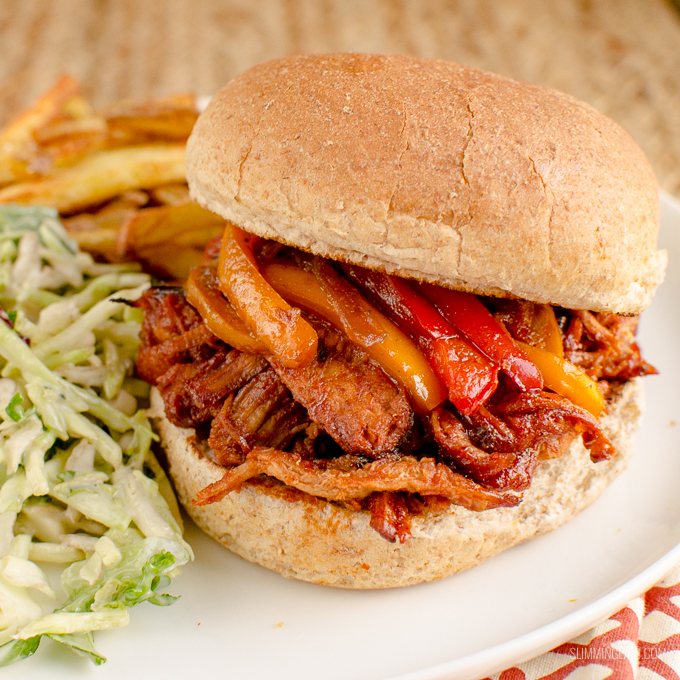 I serve this slow cooker pulled pork in a whole wheat bun, 60g/2oz one qualifies as a Healthy Extra B choice topped with the delicious sautéed peppers and onion, then some Syn Free Fries and homemade coleslaw, but if you don’t have a HEb spare, this is equally delicious just with the fries and some salad or maybe even some corn on the cob. Mix spice rub seasoning in a bowl and then rub into pork. Spray a small saucepan with olive oil spray and add the onion and garlic and cook until golden. Add all other ingredients for the barbecue sauce and bring to the boil, simmer for approx 15 mins and then blend with a hand blender or food processor. If sauce is still slightly watery after blending, add back to the saucepan and simmer to reduce down to thicken before adding to the slow cooker. Add the pork to the slow cooker and pour over the top the barbecue sauce and cook on the high (6 hour) setting or you can cook on the low setting for longer. When the pork is almost cooked, spray a frying pan with some spray oil, add the onions and peppers and fry till lightly caramelized. 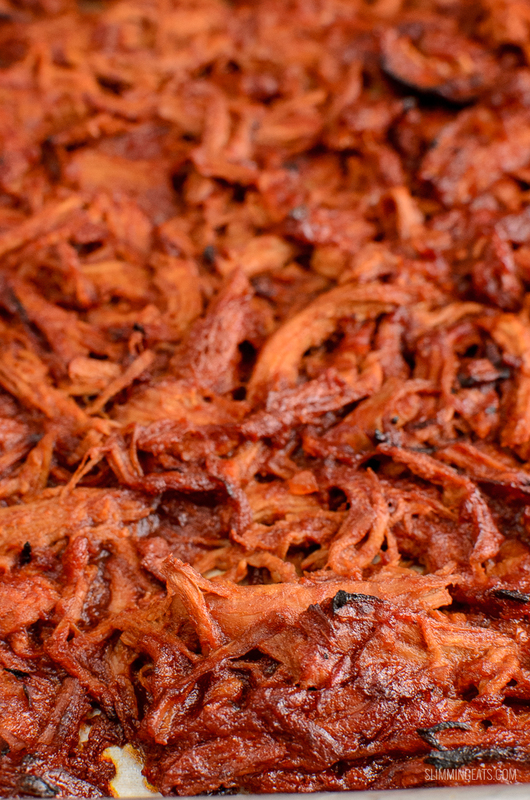 When the pork is ready, using two forks, pull the pork into shreds and mix around into the barbecue sauce. Enjoy sandwiches as a snack or meal and try out this delicious recipe! Indeed, there are a lot of sandwich variations that we are more than welcome to try out. Depending on our taste and preference, other s might like pork while others choose to indulge in chicken or beef sandwiches. It is nice to try out different kinds of sandwiches and see which kind we like best. What is liquid smoke I’ve never heard of it?? Can you freeze leftovers (if there’s any )? Absolutely loved this recipe, looks hard when you first glance at the recipe but it is really simple and worth doing as it is one of the nicest Pulled Pork I have ever had. It is also hard to believe that it is so low syn as it feels quite naughty when you are eating it. HI, this looks like a fabulous recipe. I was thinking of trying this recipe using Pork tenderloin. In UK tenderloin is a lean cut (as you will know know) will it work in a slow cooker? Does it need the fat (like a shoulder cut) to shred and cook tender? Thanks. 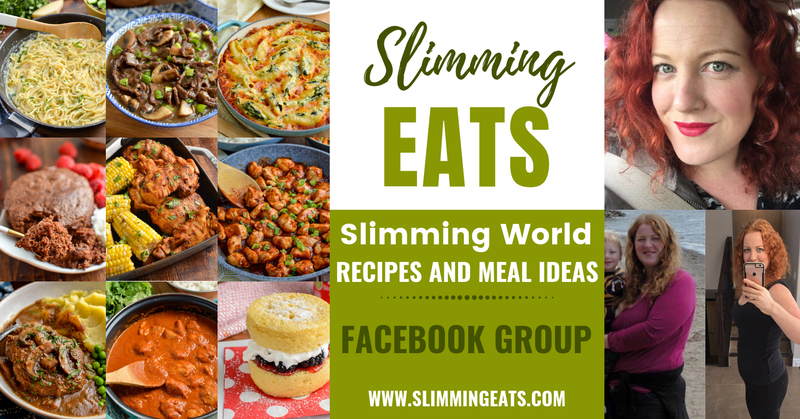 Hi Nina, for any meat to be free on Slimming World it needs to have any visible fat removed, I have made this with both a pork shoulder and pork tenderloin. Both work fine, overall I do prefer pork shoulder for pulled pork, but it’s still yummy with the tenderloin too. Enjoy!! Hi absolutely loved this! Just eaten it for tea and it was fabulous. My husband was in rapture! Thanks for commenting Lucy, so glad you enjoyed it. Hi if I wanted to cook this on low instead of high on the slow cooker how long should I cook it for? Hi Michael – sorry for the late reply. This should be fine on low for about 8 hours. Really easy to do and tasted great, whole family loved it – which is rare! thanks Nichola – that’s awesome! !